Do you feel the need for a ridiculously overpowered off-roader in your life? You may have been drawn to our recent autobahn-blasting road trip in Mercedes-AMG’s ludicrous G 63, the 571hp 4×4 based on the seemingly eternal G-Wagen. However, if you’re considering adding the over-the-top mud-plugger to your stable, you may want to act quickly; this Mercedes-AMG G 63 Exclusive Edition is touted to be the end of the line for the original G-Wagen, with an all-new replacement rumoured to debut at next year’s Detroit Motor Show. So, what does €163,125.20 get you? 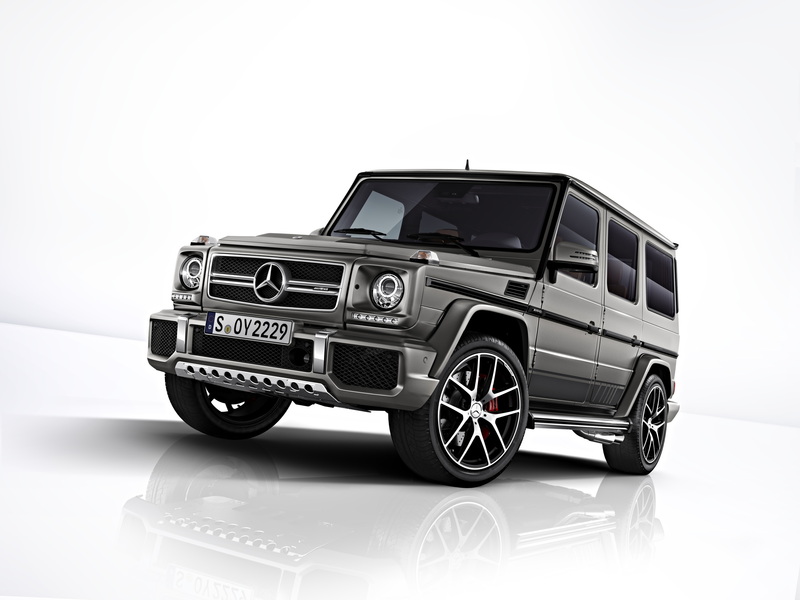 Well, the G 63 Exclusive Edition – to be publically unveiled at the IAA in Frankfurt next week – gets a stainless steel sump guard up front, AMG racing stripes (because why the hell not!) and, for the first time on a G-Class, a body-coloured spare wheel cover. 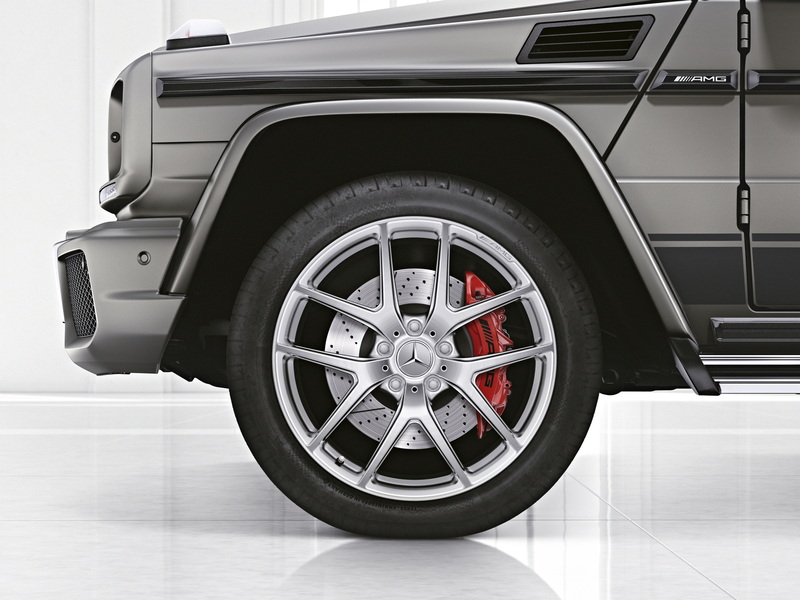 On the 6.0-litre V12-engined G 65 version, the standard wheels get a ceramic polished finish while both models can also be kitted out with high-sheen rim flanges and carbon-fibre inserts in the side strips that run down the G-Wagen’s flanks. In addition to the usual colour palette there’s also the option of AMG Monza Grey ‘Magno’ paint too, which is, er, exclusive to the Exclusive Edition. 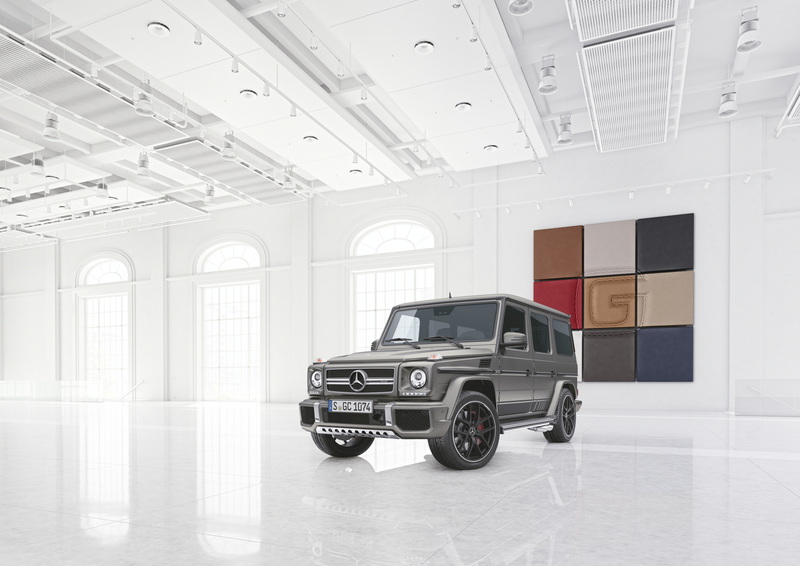 Inside, the special edition AMG G-Class gets a two-tone leather pack, available in six alternative colours. In addition to this, customers can opt for a two-tone nappa leather pack (available in three different hues). The latter comes with the seats’ side bolsters trimmed in black carbon leather, just for a little added bling because, y’know, the AMG G 63 and G 65 just don’t stand out enough as standard. If you really dig the two-tone look, you can even get the steering wheel trimmed in a dual-colour design that matches your seats, while the interior trim comes in either piano black or AMG carbon fibre.